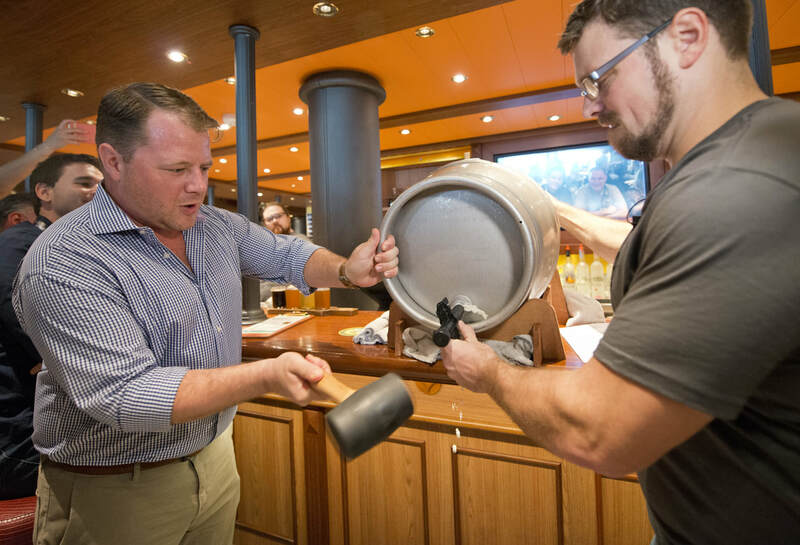 ​MIAMI – When Carnival Vista launched, it made cruising history by having the first onboard brewery at sea. Carnival's newest ship, Horizon, will make some history of its own with a new dining concept that combines an onboard brewery and full service restaurant. Called Guy's Pig and Anchor Bar-B-Que Smokehouse/Brewhouse, it will feature craft beers created by brewmaster Colin Presby and BBQ dishes from Food Network star Guy Fieri. 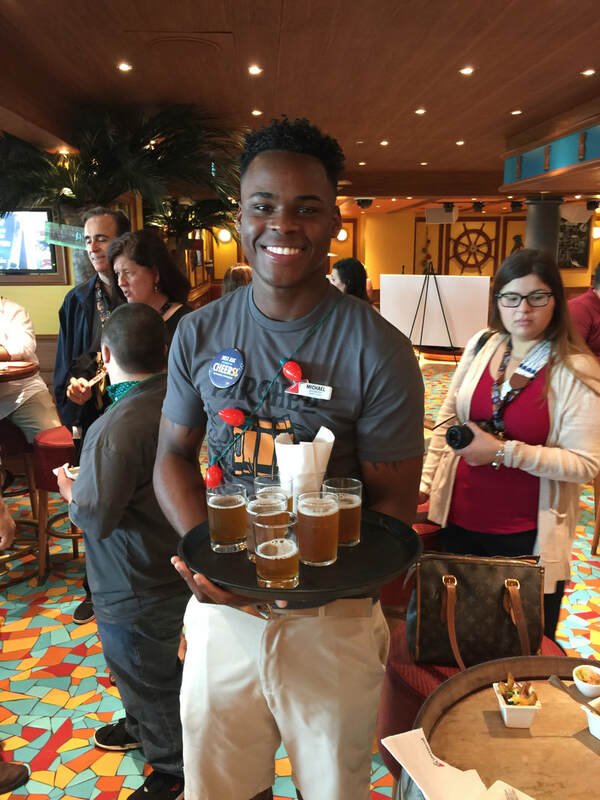 We had the opportunity to sample both during a preview party aboard Carnival Vista on Sunday, Jan. 7. · ParchedPig Smoked Porter – "brewed with in-house smoked malt, this robust, full-bodied beer offers big and bold flavors and notes of molasses and hickory smoke, providing the perfect complement to Smokehouse|Brewhouse’s BBQ favorites." · ParchedPig Farmhouse Ale – "this lightly hopped beer is distinguished by its blond color, fruity and complex character with mild spice notes that balance the brew’s dry finish"
· ParchedPig Toasted Amber Ale – "highlighted by its rich amber color and notes of toasted caramel and biscuit, this beer is well balanced, smooth and highly drinkable." · ParchedPig West Coast IPA – "the embodiment of a traditional West Coast India Pale Ale, this hoppy, intense beer is loaded with bitterness with a bright flavor profile and distinctive aroma of citrus and pine." It's a tough call, but I was partial to the Toasted Amber Ale. Combined with Guy's BBQ dishes, including slow-smoked brisket, chicken, pork and ribs, it's a match made in heaven.